Fortunately, Instagram users unsure about a Facebook future have plenty of options, especially on the iOS platform. Several iOS apps promised mobility, social features, and filters and effects of their own. Consider these apps as possible ways to fill the Instagram void. Via.me: The free and iOS-only Via.me wants to be the new Instagram: The banner on Via.me’s website welcomes Instagram users with a friendly greeting and a link to easily import all of their Instagram photos straight to a new via.me profile. Tap the Facebook and Twitter icons to opt in or out of posting to your accounts. If you don’t post to Twitter or Facebook, your photo still goes to your via.me feed, which is similar to Instagram’s. You can follow friends, keep track of everyone’s posts on a centralized feed, explore other user’s profiles, and comment on other user’s photos from your iOS device. Additionally, you can upload video and sound clips, too—giving this app more of a Tumblr-feel, but with Instagram-like features, including 17 filters named after major cities. Make your own filters and share them through Magic Hour's Filter Market. 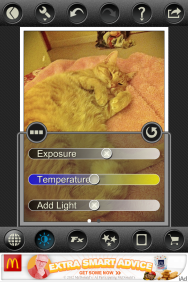 Magic Hour: If you love filters, Kiwiple’s $2 Magic Hour is definitely worth looking into. This app gives you 40 filters to start with, plus access to an in-app Filter Market, where you can download additional filters at no additional cost. Magic Hour also lets you customize your own filters and share them with others through the Filter Market. Other features include a Tilt Shift effect, high-resolution photo saving options, and touch-based focus and exposure functions. When taking a photo, tap once on the touch screen to set the focus point, and then tap twice to set the exposure. For the socialites, Magic Hour works seamlessly with a bunch of social and sharing platforms—Facebook, Twitter, Foursquare, Flickr, Tumblr, and Posterous, to be exact—and also offers easy uploading to Evernote and Dropbox. It doesn’t have a standalone network or feed, however. Want to save the two bucks? Try Magic Hour Lite for free—it comes with the same standard 40 filters, but lacks Filter Market access. 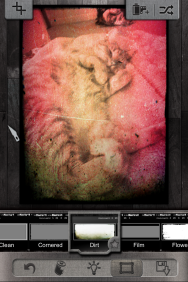 Pixlr-o-matic: Dubbed the “Darkroom App,” Autodesk’s free Pixlr-o-matic lets you combine photo effects to customize the image in different ways. Your default film roll comes with 26 different filters to choose from, and after you select your base effect, you can pick from 30 different light settings and give it a border. A paid version of Pixlr-o-matic—available as a $1 upgrade in the free offering—promises complete access to a catalogue of effects and overlays. 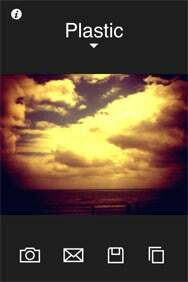 In Pixlr-o-matic, choose your own film, light setting, and border. 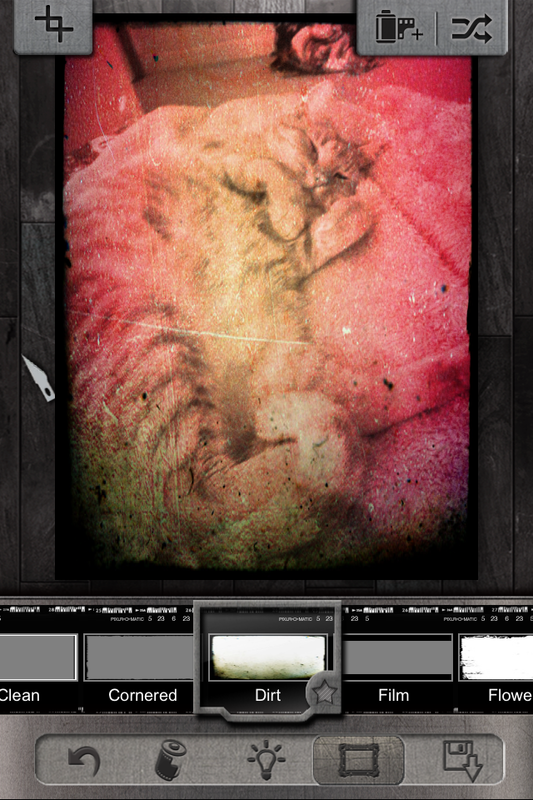 Once satisfied, hang your image up to dry with clothespins (in true darkroom-development fashion), and then export it to your desired location. Pixlr-o-matic stands out for its built-in image sharing service, imm.io. Each image you publish to imm.io gets its own link, which you can share at your leisure. This gives you—the photographer—hands-on control over who sees your photo and how it gets used. When you launch Pixlr-o-matic, a notification pops up that reads: “In order to improve this app, we receive non-personal, aggregated product usage data. You can turn this off in the Info menu.” This is an excellent option for those concerned about privacy—either the data the app collects will not be personal, or you can opt out of data-sharing all together. This app’s flexible privacy options pared with private imm.io viewing makes Pixlr-o-matic a standout service with neat, retro photo effects. PhotoToaster: For some people, Instagram’s kitschy factor is a turnoff—its hip filters definitely aren’t suited for everyone’s style, and the app leaves little else in terms of photo editing features. If you like easy sharing options but dislike the washed-out vintage look and would prefer higher-quality tools, East Coast Pixels’ $2 PhotoToaster is a solid compromise. Perfectionists will enjoy using PhotoToaster's manual controls. PhotoToaster boasts of more general photo-editing features—you can crop, rotate, and flip photos straight from the tools menu. Start with your general edits, then choose between three sets of automatic filters: Basic, Supreme, or Deluxe. Each filter set has a handful of specific filters, with Basic yielding the most simple filters and Deluxe housing the most extreme. Once your base is set, you can move on to tweak the lighting, edit the contrast, add a vignette, and choose a complimentary border. These image-editing categories have their own presets for beginners, but if you prefer full control instead of the given presets, you can manually adjust for saturation, color filter, exposure, temperature, and light. Want to compare your edits to the original photo? Just tap and hold, and watch your photo fade from its edited phase, to its original state, and then back again. 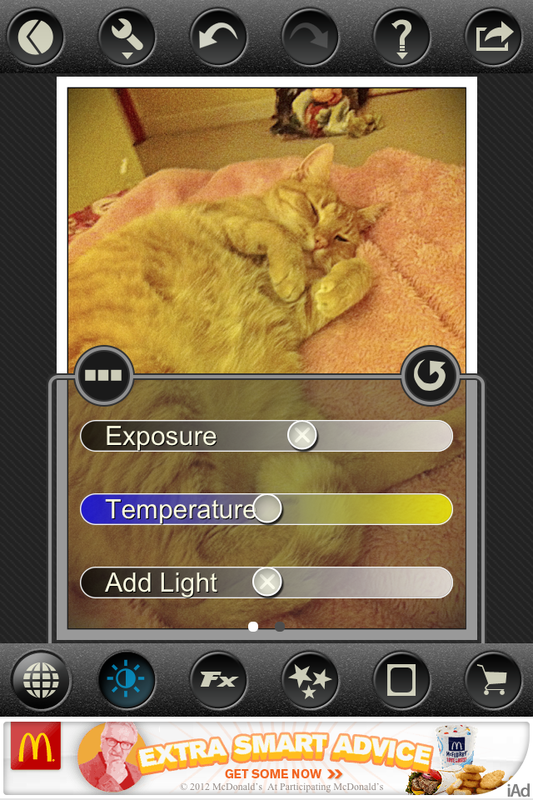 The full version of PhotoToaster is $1.99; PhotoToaster Jr. is free, but has ads and lacks some features. Hipstamatic: Synthetic Corp’s popular apps specializing in vintage and lo-fi effects—Hipstamatic and D-Series—offer users a unique take on sharing and lo-fi iPhone photography. Hipstamatic offers users a good balance of sharing and its own community of users. The $2 Hipstamatic has been a staple in the App Store for its unique take on vintage camera and the incredible versatility and control afforded by the app. Instead of applying filters, as with other apps, with Hipstamatic you get a variety of lenses, film, and flash types to shoot with. Initially, you get four lenses, three types of film, and three types of flash with dozens of additional varieties of each in additional Hipstapacks, which are available via in-app purchases in the Hipstamart. In total, Hipstamatic boasts more than 250,000 possible combinations of effects to play with. Sharing—both through social networks and with the Hipstamatic community—is also well integrated in the app. In addition to sharing via Facebook, Twitter, Instagram, Tumblr, and Flickr, you can interact with other users through contests and shared albums. 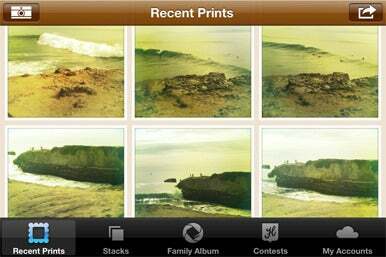 Hipstamatic also has its own cloud service for saving prints and print lab so users can easily order prints of their favorite photos. D-Series emphasizes sharing the photography process (and lofi filters) among groups of friends. The free D-Series, while not as feature-rich as the original, emphasizes sharing even more. Formerly known as Disposable Hipstamatic, the app offers a lo-fi take on the idea of sharing a disposable camera and is designed to be shared with groups of friends. Visually, the app has the same toy camera look of the original Hipstamatic, though you can customize the outside of the cameras if you wish. Invite friends via Facebook and you get to share a “roll” of 24 shots, and in keeping with the disposable camera theme, you can’t view each other’s photos until all of the shots have been taken and the roll is “developed.” Once finished, you can view everyone’s prints along with what types of effects were used and where the photos were taken. Individual prints, as well as the entire roll, can then be shared via Twitter, email, or saved to your Camera Roll. The app comes with two free cameras; inviting Facebook friends will earn you a third. 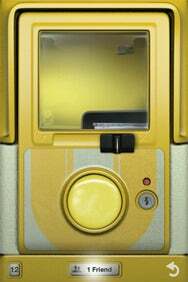 As with the original Hipstamatic, additional cameras are available via in-app purchases and friends can use friends’ purchased cameras without also buying them. Filters without Facebook: CameraBag offers users vintage camera filters with dozens of variations in a clean app that comes with no social network obligations. CameraBag: Like lo-fi filters but not a fan of Facebook? Nervecenter’s $2 CameraBag offers users an array of vintage camera effects and lo-fi filters but without any social networking obligation. Camerabag, which hit the App Store in 2008, has been a popular choice for years due to its clean design and natural-looking filters. Double tapping on one of 15 available filters reprocesses the photo, sometimes subtly and sometimes dramatically, and can be done several times on each photo for dozens of variations of the original filters. Photos can be shared via email and saved to your Camera Roll so you are free to share your photos as much or as little as you like. You can also interact with other CameraBag uses in the CameraBag Flickr Group. CameraBag is compatible with iOS devices running iOS 3.0 or later. Nervecenter also makes desktop versions in the Mac App Store, CameraBag and CameraBag 2 for Mac. Picplz: Instagram users shouldn’t have any trouble getting used to Mixed Media Lab’s Picplz, which offers photo editing and a social network in one app. Picplz, which is free, emphasizes sharing on social networks and you need either a Facebook or Twitter account to sign up. 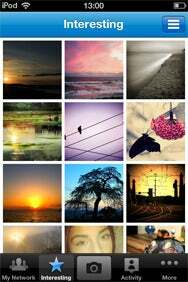 Picplz's Interesting section gives you a feed of popular photos from other Picplz users. The app has clean layout that is very similar to Instagram’s. My Network shows you your friends who use the app and Activity will show you a feed of your friends’ activity. 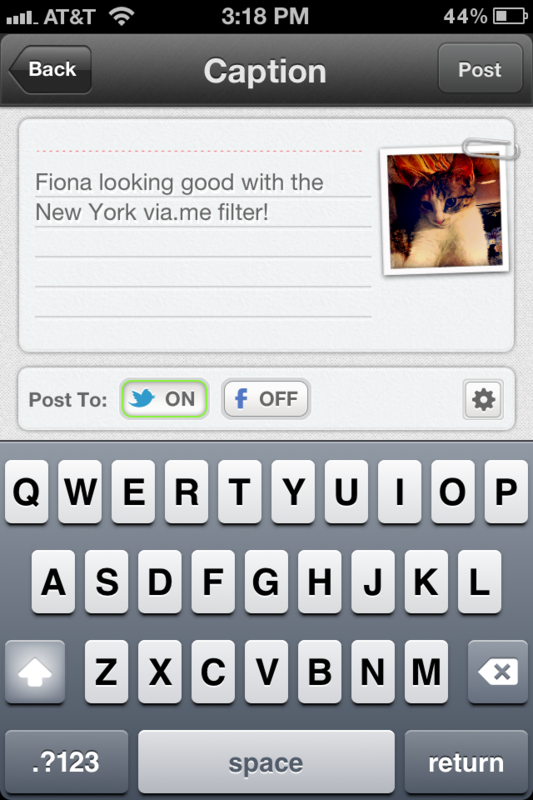 The Interesting section will give you a feed of popular photos from users across the app. 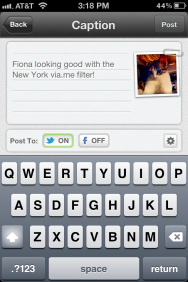 Picplz offers users a lot of flexibility when it comes to sharing and editing photos. In addition to filters, users can crop, adjust exposure and saturation, add text, and even draw directly on their photos. Besides sharing with the network of other users, you can share your photos via Twitter, Facebook, Flickr, Tumblr, Posterous, Foursquare, DropBox, and Mixi from within the app. You can also create collections of other users’ photos you like, similar to favorites in Instagram. While these apps don’t exactly offer what Instagram has in terms of a large community, some of their features outshine Instagram’s by far. And should there be an exodus of Instagram users in the wake of Facebook’s acquisition, these rival services are likely grow and build communities of their own.